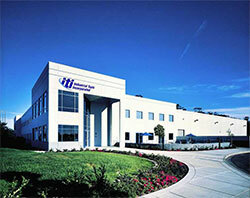 Engineer, manufacture and sell dicing blades and diamond abrasive tooling from our headquarters north of Los Angeles. Products include metal bond dicing blades, resinoid dicing blades, hybrid dicing blades, electroplated dicing blades, electroformed dicing blades, 1A8 dicing blades, custom dicing blades, diamond abrasive wheels, fine grinding (flat honing) plates, dressing boards and sticks, stone edge tooling, fine micron shop wheels, slitter knives, and more. Product families for dicing blades are metal (sintered), resin, resin/metal, electroformed/electroplated, vitrified and brazed. Related tooling for dicing blades produced by ITI includes hubs, arbors and spacers for dicing blades made from aluminum, ceramic, steel, carbide and titanium. Markets are manufacturers using dicing blades and related products for semiconductors (laminates), hard disk drives, optics/glass, ceramics, industrial, photonics/telecommunications, electronics, microwave and others. Export over 90% of dicing blades to 24 countries, mostly to Asia. Multi-national customers for dicing blades include 3M, IBM, Imation, Infineon, Micron, Philips, Seagate, Samsung and others. In business over 50 years (since 1961) producing dicing blades and related products. Application knowledge is emphasized, ensuring the customer’s objectives are achieved. Consistent high quality, with competitive prices and short delivery times from using principles of lean, six sigma, SPC, documented procedures, etc. Engineering cooperation with equipment manufacturers and end users. Continuing R&D to develop advanced dicing blades and related products. 65,000 sq. ft. facility dedicated to manufacturing, engineering and sales of dicing blades and diamond abrasive tooling. In-house machine shop, complete with CNC mills, lathes, EDMs, laps, grinders, etc. Diverse workforce, including employees from the U.S., England, Mexico, the Philippines, Peru and Iran. ITI's precision dicing blades are manufactured for mounting to hubs and arbors on special saw machines for precision singulating, slicing, dicing and slotting semiconductor components, hard disk drive heads, precision glass components, etc. 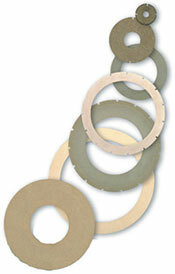 These dicing blades can be as thin as 0.003” (75 microns), and the dicing blades range in size from 0.5” to 8” O.D. (12mm to 200mm). Used on fine grinding machines as a replacement for lapping processes for parts that require high parallelism and close dimensional control. Diameter of plates range from 450mm (17”) to over 1000mm (40”). Used with dicing blades and wheels to ensure accurate mounting and alignment of individual dicing blades and gang applications. Arbors and hubs are typically made from aluminum, while spacers can be made from ceramic, carbide or titanium.